The Northeast Pacific has one of the longest time series of any open ocean station, primarily as a result of the weathership station at Station P from the 1950s to 1981. This review summarizes our understanding of the plankton ecosystem for this station and examines interannual variability for the primary producers. The weathership era characterized a period of high temporal sampling resolution with a limited number of parameters being measured. 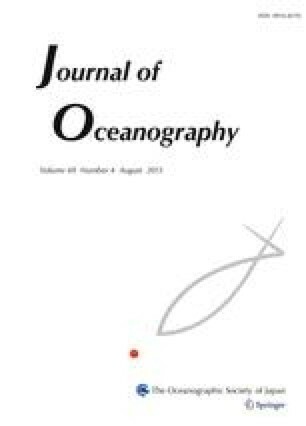 In contrast, the post-weathership period focussed on seasonal sampling (usually three times per year), but a wider range of parameters were measured and sediment traps were deployed to estimate carbon and opal flux rates. The mixed layer depth is shallow compared to the Atlantic Ocean, ranging from 40 to 120 m in late summer and winter respectively. Nitrate, silicate and phosphate are saturating year round with only a few exceptions in the 1970s. Winter and summer Si:N ratios are the same (1.5:1). Ammonium and urea are 0.5 uM in winter and near detection limits (∼0.1 uM) in late summer. Iron is limiting (∼0.05 nM) in late spring and summer for the growth of large diatoms, but iron is co-limiting with irradiance in winter. Chlorophyll and primary productivity are low and show little seasonal variation (about 2 times). Summer chl is about 20 mg m−2 while primary productivity ranges from 400–850 mg C m−2d−1. The f-ratio of 0.25 does not vary with seasons and indicates that primary productivity is fueled by regenerated nitrogen (e.g. NH4 and urea). Small cells (<5 um) are normally abundant and they utilize regenerated nitrogen produced by the micrograzers; they do not appear to be Fe-limited, but rather controlled by the micrograzers. Shipboard carboy experiments indicate that large diatoms become dominant when iron is added. Therefore top down control is exerted by the micrograzers on the small cells, while there is bottom up control of the large phytoplankton due to low Fe concentrations. This revised version was published online in August 2006 with corrections to the Cover Date.